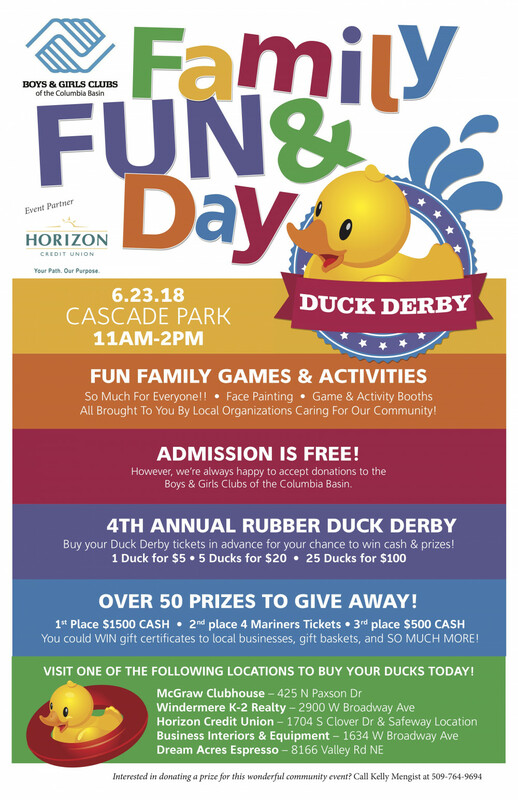 FAMILY FUN & DUCK DERBY DAY brought to you by the BOYS & GIRLS CLUBS of the Columbia Basin! Supporting sponsor: Horizon Credit Union. Your path. Our purpose. All brought to you by local organizations caring for our community! OVER 50 PRIZES TO GIVE AWAY! You could WIN gift certificates to local businesses, gift baskets, and SO MUCH MORE! ADMISSION TO ENJOY THE FAMILY GAMES AND ACTIVITIES IS TOTALLY FREE! 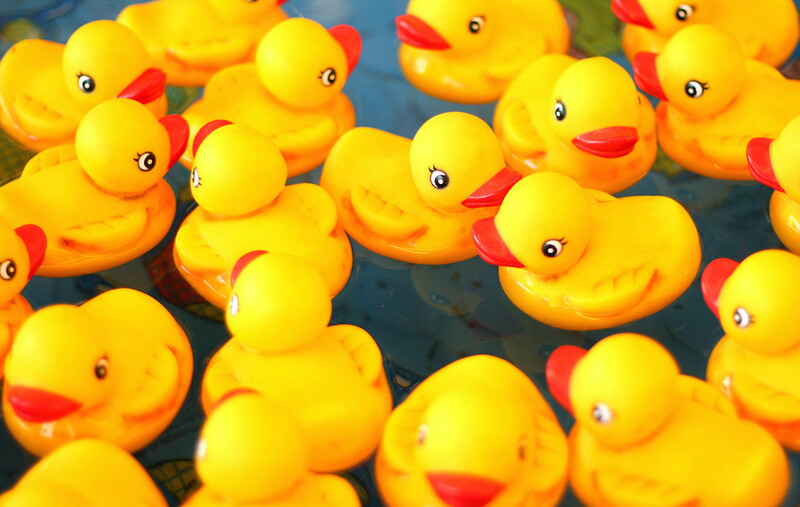 If you would like to participate in the DUCK RACE for prizes, you will need to purchase a DUCK (or as many as you wish). They are $5.00 for one. $20.00 for five. $100 for twenty-five. Locations to purchase your ducks are listed below. Visit one of the following locations to buy your ducks today! McGraw Clubhouse - 425 N Paxson Dr.